Cenotaphs: Monuments raised in memory of a dead and which does not contain its body.. 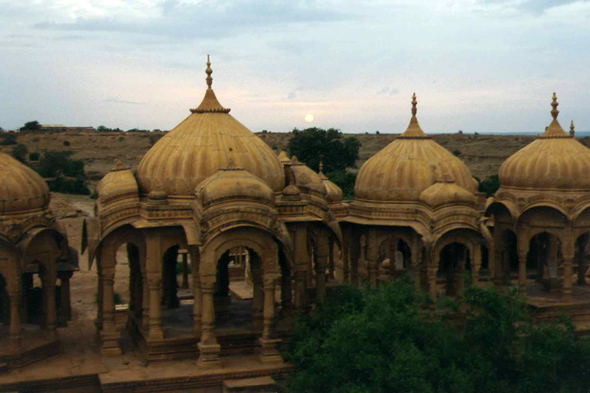 Very many cenotaphs are scattered around Jaisalmer in the Thar desert. Some of them contain funerary steles in homage to the women victims of the satis: the women of famous Rajputs men were to sacrifice themselves at once after the death of their husband. The women rebel were poisoned. This habit is not practised any more nowadays.